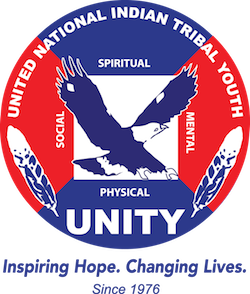 Today’s Native Leaders 2013-2017 – UNITY, Inc.
Look to this section for articles about the “Today’s Native Leaders” (TNL) project. This project resulted from a four-year cooperative agreement between UNITY and the US Department of Justice, Office of Justice Programs, Office of Juvenile Justice and Delinquency Prevention (OJJDP). The project was designed to offer regional and national trainings and learning opportunities for American Indian youth to increase positive outcomes in their school, community and family environments.